“I’m not seriously ill, but I am a criminal,” Linda Johnson told Utah Democrat state senators and representatives Wednesday night. Recounting her experience with medical cannabis, Johnson explained how she supplied her arthritic neighbors at a local retirement community with a THC and CBD balm to ease the pain of their deteriorating joints. Johnson tried the stuff herself, too, and it helped with her bad back. “I’m just getting old. I’m 82. I expect to go on another 10 or 15 years,” Johnson said to laughter and applause from the 100-plus member crowd. Then, she asked the Utah Highway Patrol troopers at the back of the room not to arrest her en route home. Johnson’s anecdote was a moment of levity among an otherwise emotional series of public testimonials. People gathered in the Senate building in the Capitol complex to talk with Democrat lawmakers about medical cannabis, the ballot initiative Utah voters will vote on Nov. 6 and the compromise recently unveiled by state legislators. The testimonials were frequently filled with teary pleas to legalize medical cannabis for them or their children, desperate to ease their suffering; there were also instances where speakers urged caution from lawmakers because their children had become psychologically dependent on cannabis. “I’m tired of patients being collateral damage in this. Please, help us,” one woman said. 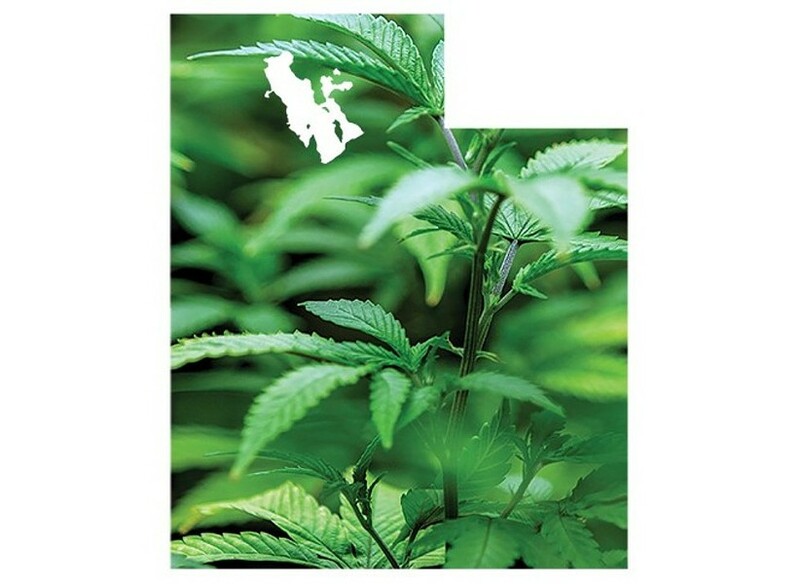 The state representatives called the hearing to gauge public sentiment on Proposition 2, the medical cannabis initiative on the ballot, and its legislative compromise. Rep. Brian King, D-Salt Lake City, showed slides from a Democratic survey in which 83 percent of respondents said they “definitely yes” plan to vote in favor of Prop 2. Just less than half of those surveyed said they “definitely yes” support the compromise bill. 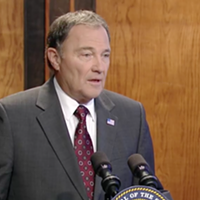 Lawmakers also asked prominent supporters and opponents to deliver their own comments. Walter Plumb III, who fiercely opposes Prop 2, contended that the initiative isn’t about medical cannabis. “It’s actually about recreational. This is the first step, entry-way into our state,” he said. "Why don't we let the FDA do what it should do, and decide what is medicine and what is not?" Michelle McOmber, CEO of the Utah Medical Association, said her organization opposes Prop 2 because “we don’t think Proposition 2 looks like medicine,” but they are making their voice heard in the compromise bill so that safeguards are enacted and vulnerable populations like children are not harmed. DJ Schanz, director of the Utah Patients Coalition, one of the groups behind the ballot initiative, encouraged the crowd to treat Prop 2 opponents with respect and support. “Many of us have come to this conclusion of medical cannabis earlier than others,” he said, underscoring that Marty Stephens, legislative liaison for The Church of Jesus Christ of Latter-day Saints, had said earlier in the night that the church supports whole-flower marijuana in dosage form. “Who woulda thought that a possibility here even a year ago?” he asked. 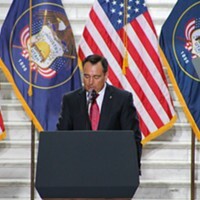 Stephen Urquhart, former Republican state senator, expressed skepticism at the compromise bill. “It was intended to suppress voter turnout. It was intended to confuse the voters,” he said. “Patients need to come to this body empowered. They shouldn’t need to beg for bread crumbs.” The crowd applauded while he returned to his seat.